12:15 AM low 4.2 ft.
6:09 AM high 7.6 ft.
12:59 PM low 1.3 ft.
8:01 PM high 6.8 ft.
How to reach: To reach the tidal bench marks from Aberdeen, follow State Highway 105 west for 32 km (20 mi) to Westport; at Westport turn north onto Montesano Street and follow it to its termination at Dock Street, turn NE onto Dock Street and continue to Westhaven Drive. The bench marks are located along Westhaven Drive and across Westhaven Cove. 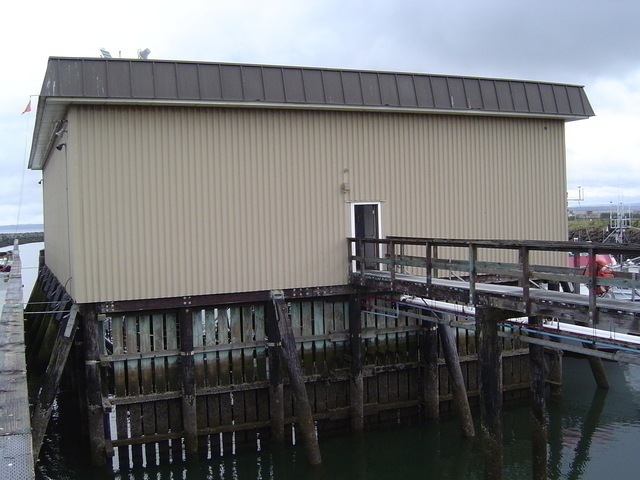 The tide gauge is located on the US Coast Guard base near the Westport Marina public boat ramp.